With technology moving and changing so fast around us, it only makes sense for a business to consider moving to the cloud for all their business needs. If you want to see how popular cloud services has become, listen to an officer at Microsoft who says that over 70% of Microsoft employees are doing a portion of their work using cloud computing. As amazing as those numbers are, he also says that within only a year, that number will jump to 90%. Like it or not, cloud services are the technology of the future. Cloud services is extremely popular with small businesses because they do not have to deploy file or email servers and storage systems. Employees of a small company and its partners can easily collaborate with a browser. This has huge advantages to small companies with little capital. While the local data center is now able to be freed up to allow more mobility, many businesses are seeing their needs can be fulfilled with cloud services. When you consider moving your services to the cloud, you have to understand exactly what is cloud services. With no software to ever install, you are basically using the service on subscription based terms. The terms are month to month and you have the ability to easily scale the service from as little as a few employees up to over 4,000 if needed with no hassle. The cloud services are designed to grow as your business grows. In Houston, the cloud services are becoming more popular by the day. Houston business owners are very aware of the fact that the security of their data is extremely important, and a technology firm looking for cloud services will also be looking for hosting services in line with the cloud. To remain competitive many business turn to companies like CITOC in Houston. They will provide a company with private, secure hosting compatible with any business platform you are using. Cloud services can help your growing business in many ways. The basic three parts of cloud services are Infrastructure-as-a-Service (IaaS), Software-as-a-Service (SaaS) and Platform-as-a-Service (PaaS). The trend with cloud services is as the infastructure continues to grow as businesses grow, eventually everyone will be plugging into the cloud, ensuring it will be around for a very long time. Cloud services also known as sky computing, will continue to provide a more flexible, cost effective way for a company to meet their business needs. 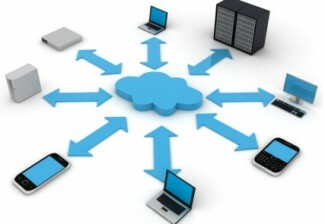 Because cloud services delivers applications via the internet, and stores all the data at remote servers. Being able to access the information such as emails and software with a browser or mobile app, allows the end user much more flexibility in their business. The cloud service industry has had a huge impact on businesses, that the federal government has begun to restructure their IT capabilities to lower the overall spending budget. Today, many of the top government agencies are employing some form of cloud services.